The Apple Watch is the best selling smartwatch responsible for garnering public interest and taking the nascent smartwatch segment mainstream. 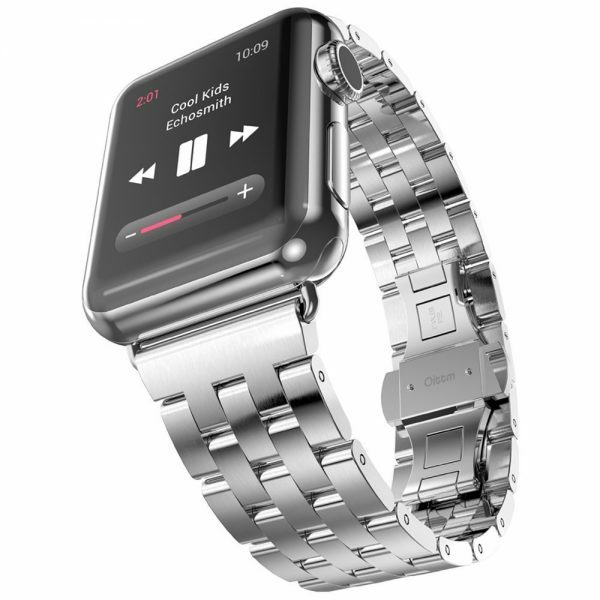 Apple has released a total of 40 different Apple Watch models to entice its customers. 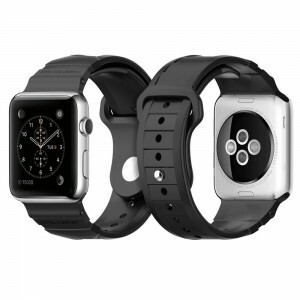 The Apple Watch comes in two sizes: 38MM and 42MM. Apple has made available a lot of replacement band straps to further customize your Apple Watch. Sport Band, Milanese Loop, Classic Buckle, Leather Loop, Modern Buckle and Link Bracelet are the replacement band straps sold by Apple. If none of these Apple Watch bands catch your imagination or are too expensive, there are a lot of third-party Apple Watch bands available. Listed below are the top 10 best Apple Watch Bands. The Moko Stainless Steel Ceramics Link Apple Watch Band is a very premium looking replacement Apple Watch Band. 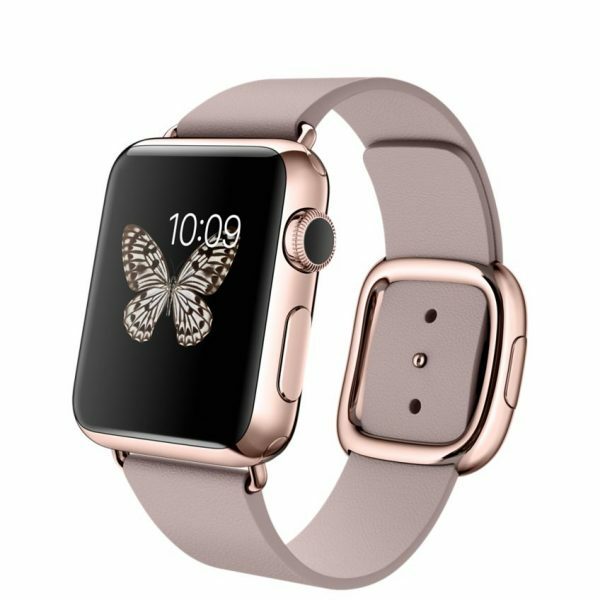 The Moko Stainless Steel Ceramics Link Apple Watch Band features a stainless steel wrist band with ceramic links and a butterfly buckle. Do check out the other Apple Watch bands from Moko. 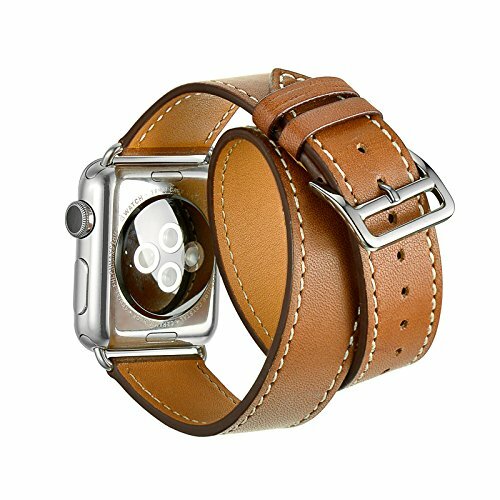 If you can’t afford the uber luxurious original Hermes Apple Watch Band, Kartice has you covered with the Kartice Luxury Genuine Leather Apple Watch Band. 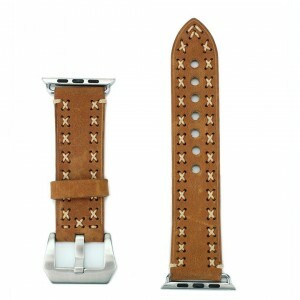 The Kartice Luxury Genuine Leather Apple Watch Band is made of high quality genuine leather and is available in Double Tour, Single Tour and Cuff flavors just like the original. The Spigen Rugged Apple Watch Band is highly durable, comfortable and offers a rugged look. The Oittm Stainless Steel Replacement Apple Watch Band looks very stylish. 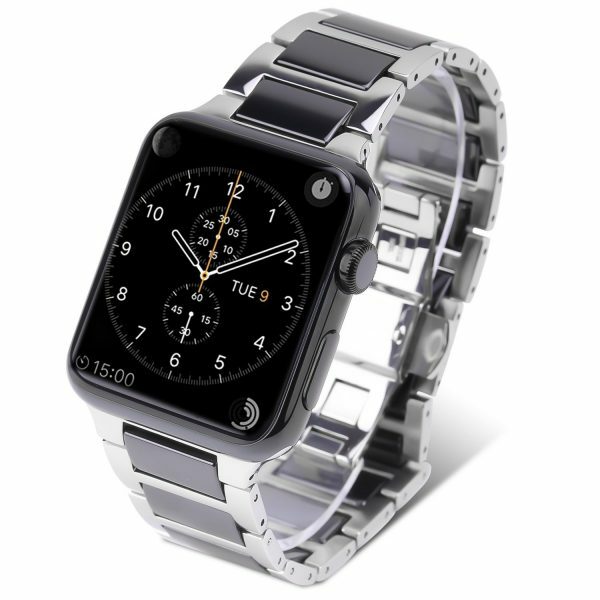 The Oittm Stainless Steel Replacement Apple Watch Band is available in 2 colors. The Abtong Lizardstripe Premium Genuine Leather Apple Watch Band looks great and is made of soft large grain genuine leather. The Abtong Lizardstripe Premium Genuine Leather Apple Watch Band is available in 5 different colors. 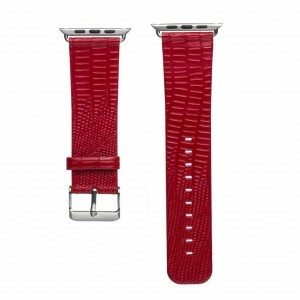 An alligator pattern Apple Watch Band is also available. 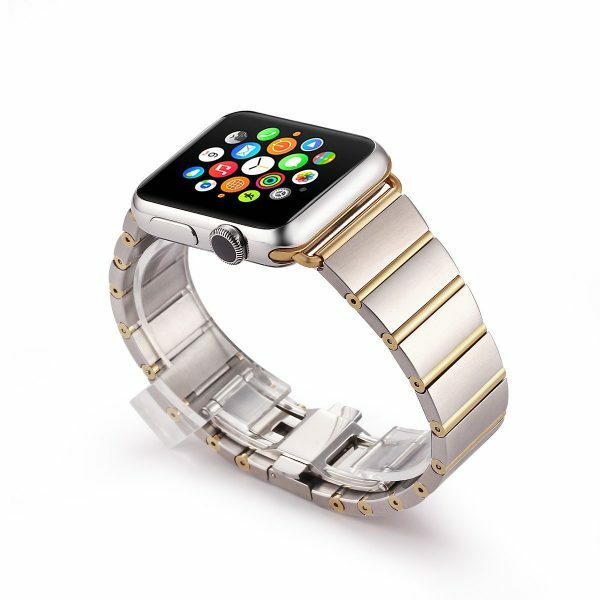 The Pomarks Golden Stainless Steel Apple Watch Band looks good and features a butterfly buckle. The Pomarks Golden Stainless Steel Apple Watch Band is available in gold and rose gold colors. 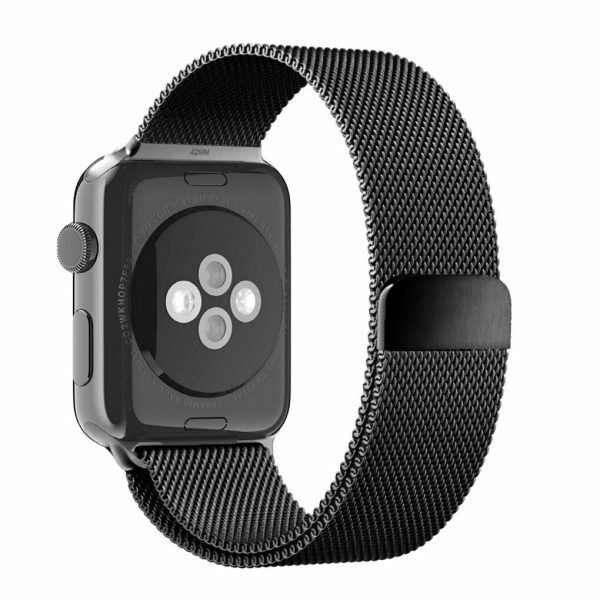 Riega Milanese Loop Apple Watch Band is a smooth woven stainless steel mesh strap available in 2 colors. The Riega Milanese Loop Apple Watch Band features adjustable magnetic closure. The Mkeke Vintage Crazy Horse Apple Watch Band is made of soft genuine leather and is available in some unique and eye-catching patterns. 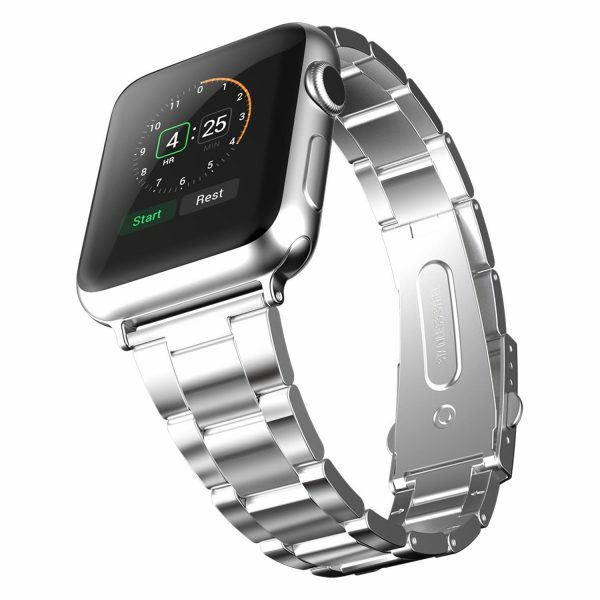 The JETech Stainless Steel Apple Watch Band is made of high quality stainless steel and features a metal clasp. 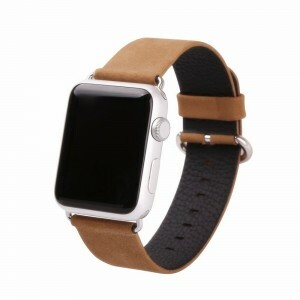 If you love suede, the eLander Top-Grain Leather Apple Watch Band is for you. These are the top 10 best Apple Watch bands. Apple Watch bands have been quite popular amongst customers also Really nice quality, it’s my experience after buying it.Moreover, all color combinations are very elegant.